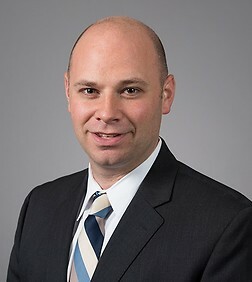 Matthew Shatzkes is an associate in the Corporate Practice Group in the New York office of Sheppard Mullin and is a member of the firm’s healthcare practice team. Matthew’s healthcare practice bridges the gap between transaction and regulatory law and he represents all manner of healthcare entities and not-for-profit corporations on a wide range of business, regulatory and transactional matters. His clients include hospitals, health systems, ambulatory surgery centers, diagnostic and treatment centers, nursing homes, physician practices, physicians, Federally Qualified Health Centers, information technology companies and ancillary providers. On the transactional side, Matthew advises clients on corporate issues surrounding complex joint ventures between healthcare entities. He also has experience negotiating mergers and advising clients on professional services and management/administrative services agreements, and regularly advises clients on formation, corporate governance and operational matters for various healthcare entities. Matthew also has extensive experience in the health care technology area and assists clients in successfully navigating the risks and benefits of health care technology transactions. He has developed broad experience with license, clinical, revenue cycle and other types of technology agreements. He also advises healthcare providers, emerging health IT companies, vendors and investors in the digital health industry on regulatory and strategic matters critical to telehealth and other health technology products, platforms and services. Matthew has worked with digital health startups, IT vendors and health systems to develop and implement telehealth networks throughout the United States. In addition to his transactional experience, Matthew advises clients on a broad range of regulatory compliance matters, including healthcare facility, pharmacy and laboratory licensure and certification, data security and privacy (including HIPAA compliance), fraud and abuse laws, and corporate practice of medicine. His practice includes representation of healthcare providers and their business associates in the implementation of HIPAA compliance programs, OCR investigations, HIPAA Breach responses, and various cyber security and interoperability issues. Prior to entering into private practice, Matthew worked as a judicial fellow for the Honorable Roger N. Rosengarten at the New York Supreme Court, Queens County. By beginning his career as a litigator, Matthew also has experience in representing clients in business and commercial disputes involving, among others, fiduciary obligations and breach of contract claims.